Behind the Big House is one of few historic site tours developed with the specific goal of interpreting slavery. 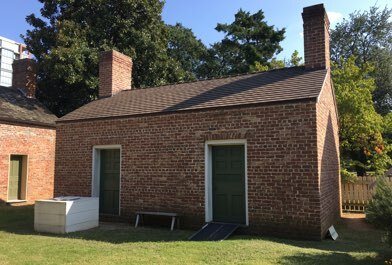 The program began with several private homeowners in Holly Springs, Mississippi, who opened slave houses on their properties to the public. Since 2012, the program has educated thousands in North Mississippi and Arkansas. 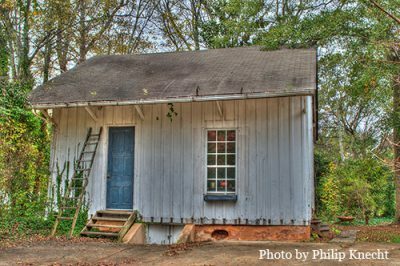 Preserve Marshall County & Holly Springs, Inc.’s Behind the Big House program moves beyond the “Big Houses,” or stately historic homes, to explore surviving slave dwellings and the lives of the enslaved communities who lived and worked in them. It focuses on several sites in Holly Springs, Mississippi. 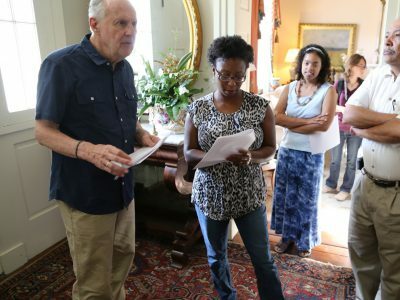 Preserve Arkansas’s Behind the Big House program moves beyond the “Big Houses,” or stately historic homes, to explore surviving slave dwellings and the lives of the enslaved communities who lived and worked in them. It focuses on sites throughout the state of Arkansas. Whether you are exploring the idea of starting a slave dwelling education program, or are already in the process of establishing a program, the following steps can help you find the resources and tools that you need to develop and implement your own Behind the Big House program. Learn how you can start your own program.